Benita, An African Romance combines supernaturalism with romance and a treasure hunt. In this adventure novel the eponymous heroine acts as a clairvoyant to assist in a hunt for Portuguese gold buried in the Transvaal. Benita was serialized in Cassell's Magazine December 1905 through May 1906, and illustrated by Gordon Browne. 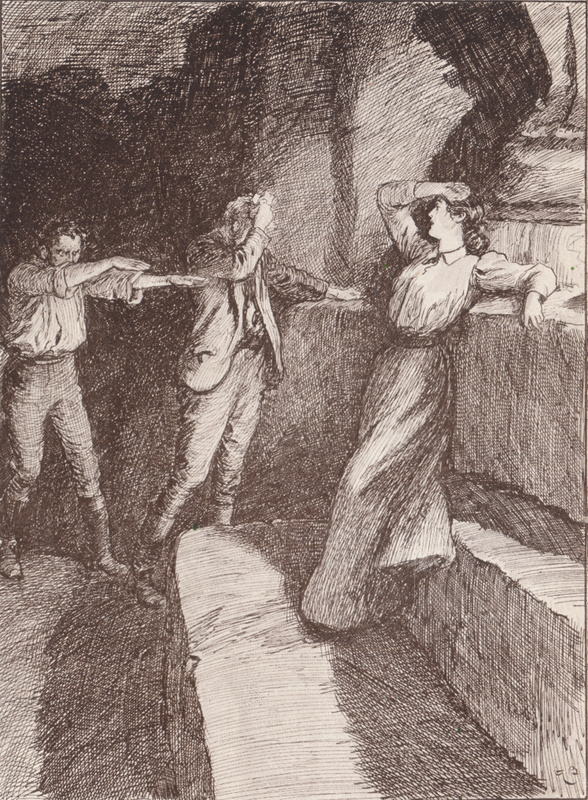 The Cassell and Co., London, first edition published, 7 September 1906 featured 16 full-page illustrations by Browne. 15,000 copies printed. Longmans, Green, and Co., New York, published the first US edition under Haggard’s preferred title The Spirit of Bambatse, A Romance in 1906. Longmans used 8 of Browne’s illustrations, 5 are completely different from Cassell’s edition of Benita, and one has a different caption. Cassell’s "'Now good-bye, and go on'" becomes in Longmans, "By way of answer Benita pulled up the horse." Macdonald & Co., London, published an edition of Benita in 1965 illustrated by Hookway Cowles. Pocock, Tom. Rider Haggard and the Lost Empire. London: Weidenfeld and Nicoloson, 1993. 138. Whatmore, D.E.. H Rider Haggard: A Bibliography. Westport, CT: Meckler Publishing Co., 1987. F30, 45-46. 1st UK edition. London: Cassel & Co., 1906. The Spirit of Bambatse, 1st US edition. New York: Longmans, Green, and Co., 1906. 1st Edition Thus. London: Chariot Books, 1952. Macdonald Illustrated Edition. London: Macdonald & Co, 1965. 1st Edition Thus. Hollywood: Newcastle Publishing Co., 1979. Cassell's Magazine, vol. 41, no. 5. London: Cassell & Co., April 1906. Cassell's Magazine, vol. 41, no. 1. London: Cassell & Co., December 1905. Cassell's Magazine, vol. 41, no. 3. London: Cassell & Co., February 1906. Cassell's Magazine, vol. 41, no. 2. London: Cassell & Co., January 1906. Cassell's Magazine, vol. 41, no. 4. London: Cassell & Co., March 1906. Cassell's Magazine, vol. 41, no. 6. London: Cassell & Co., May 1906.